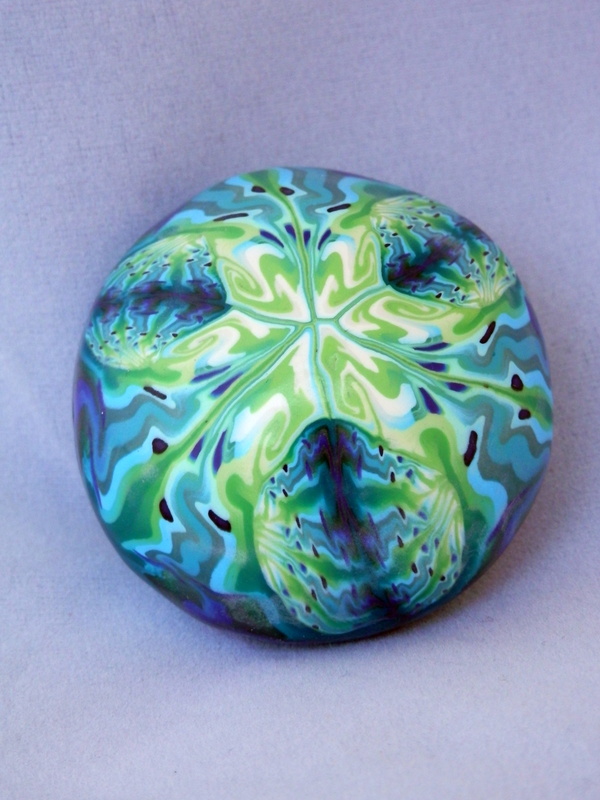 Our local Polymer clay guild had our 1st Annual retreat. It was two days of claying, playing, eating, learning and fun. We are a fairly new guild, but we are growing all the time. 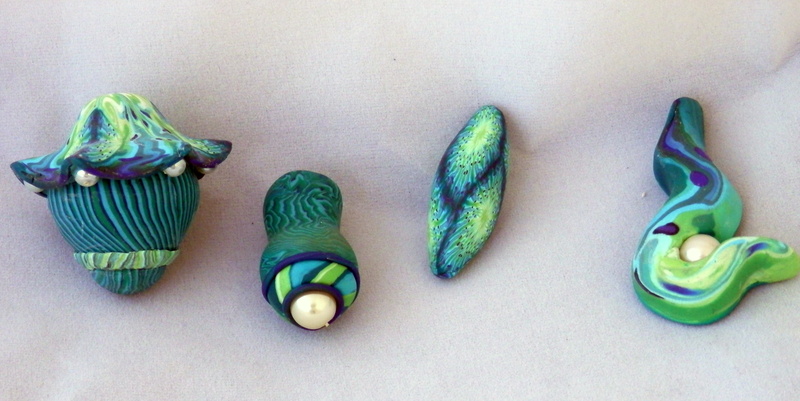 Here are some of the beads that I worked on while there. 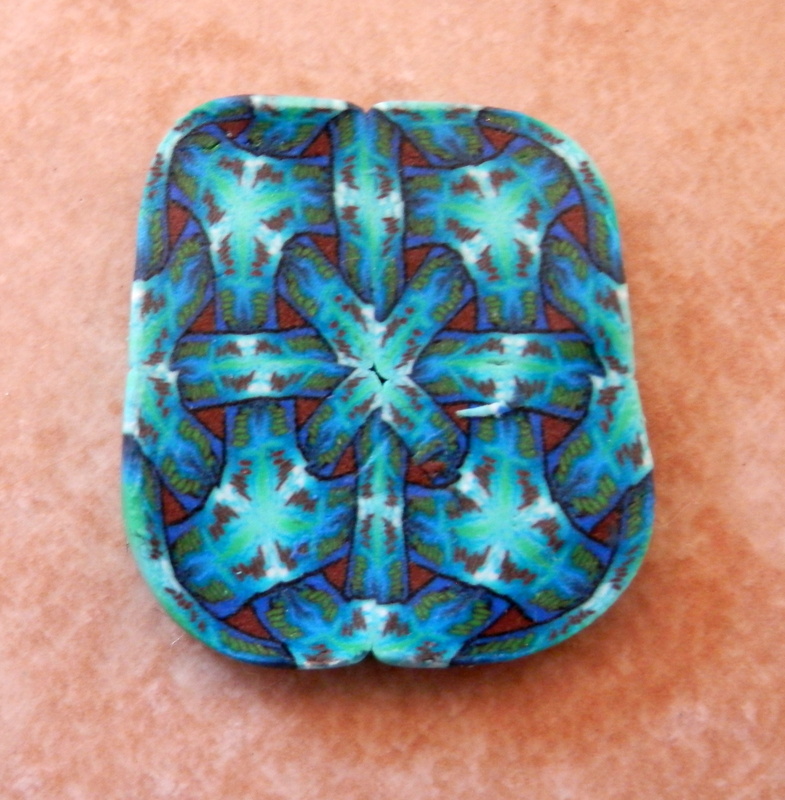 These were made from a cane I made from Sarah Shriver’s Big Bead Kaleidoscope cane workshop last year. These are just some beads I made for fun. The one on the left was a joint effort by my friend Laura Schiller and myself. I am pretty pleased with this one. 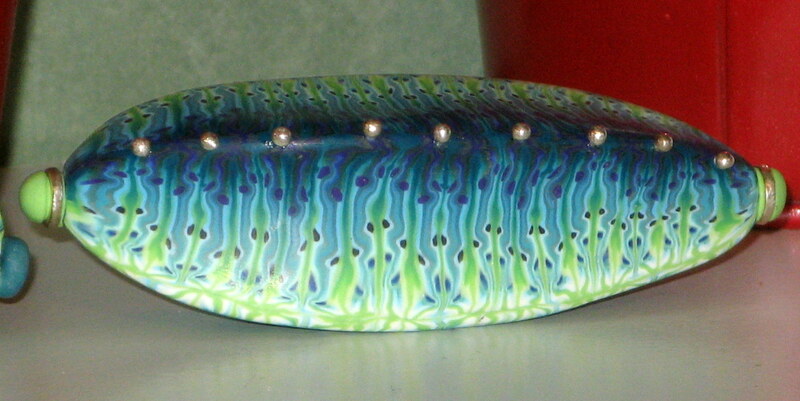 It is two sided and completely hollow- so though it looks big, and it is (1 3/4 inches,) it is very light. I like how this one turned out as well. I have no idea how I am going to turn these into jewelry- that is the part I don’t really enjoy. 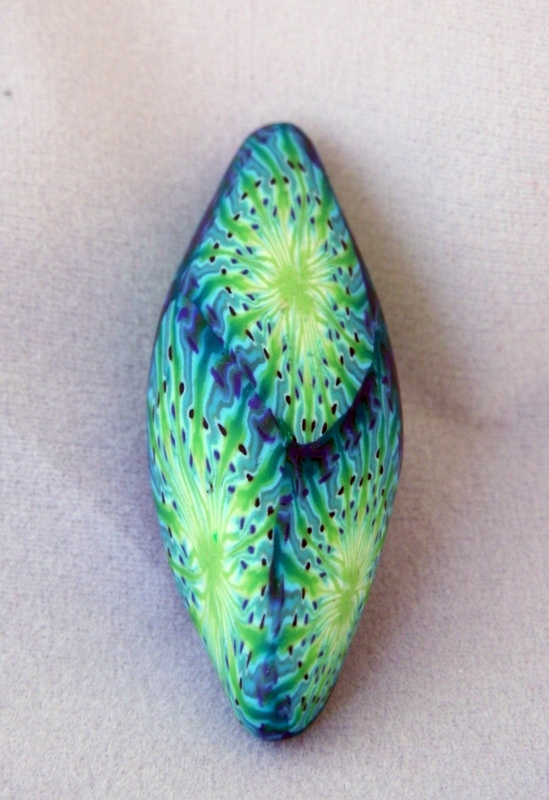 Oh one more photo- this is the bead I made at the Sarah Shriver workshop mentioned above. 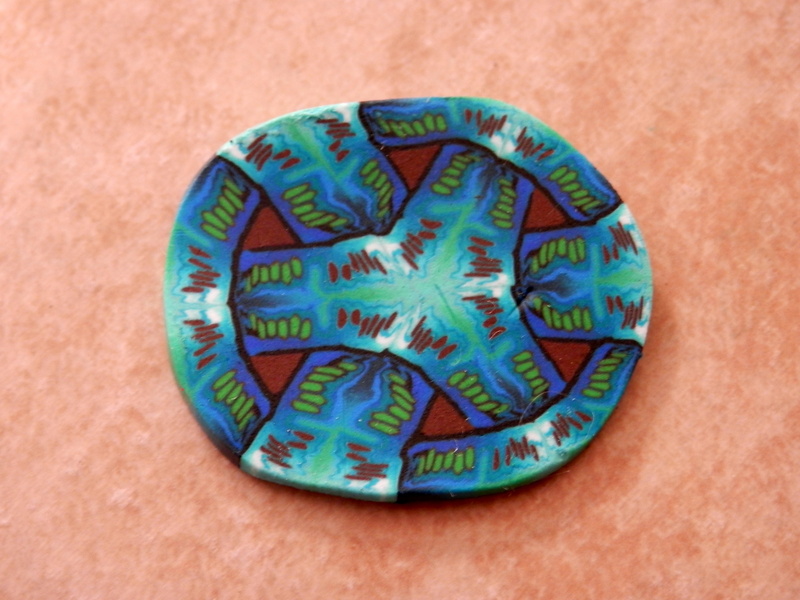 I donated it to our polymer clay guild auction to raise money for new library materials. It went for over 40.00 dollars. I was shocked! and more than a little flattered. This one was probably 3 1/2 inches long but made from sculpey ultra light. It is also very lightweight.Sorry for the photo heavy blog and as always thanks for looking. 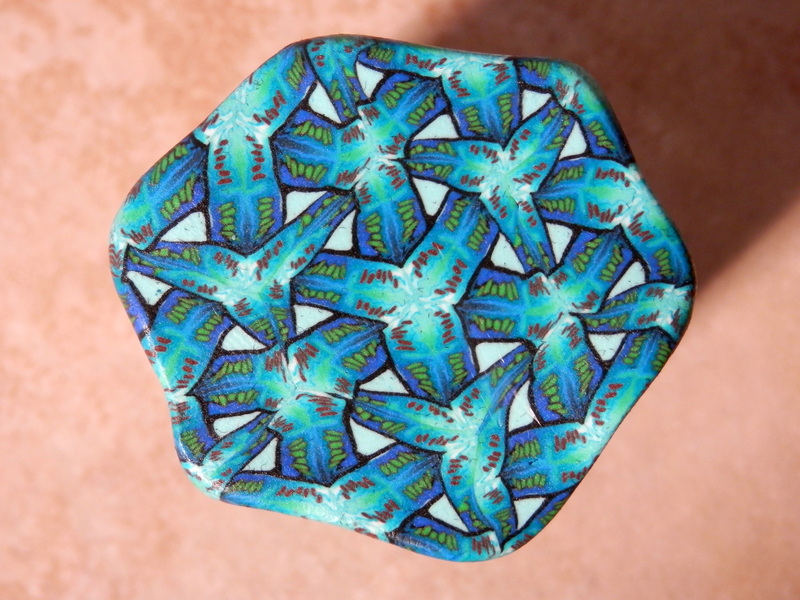 As promised, here are the kaleidoscope canes that I made using Sarah Shriver’s technique. LOVE HER WORK. I had the privilege of attending one of her workshops awhile back and I would highly recommend it. Her videos are awesome too. These canes are all made with the same “base” cane. They are then added to each other and tweaked to give entirely new looks. 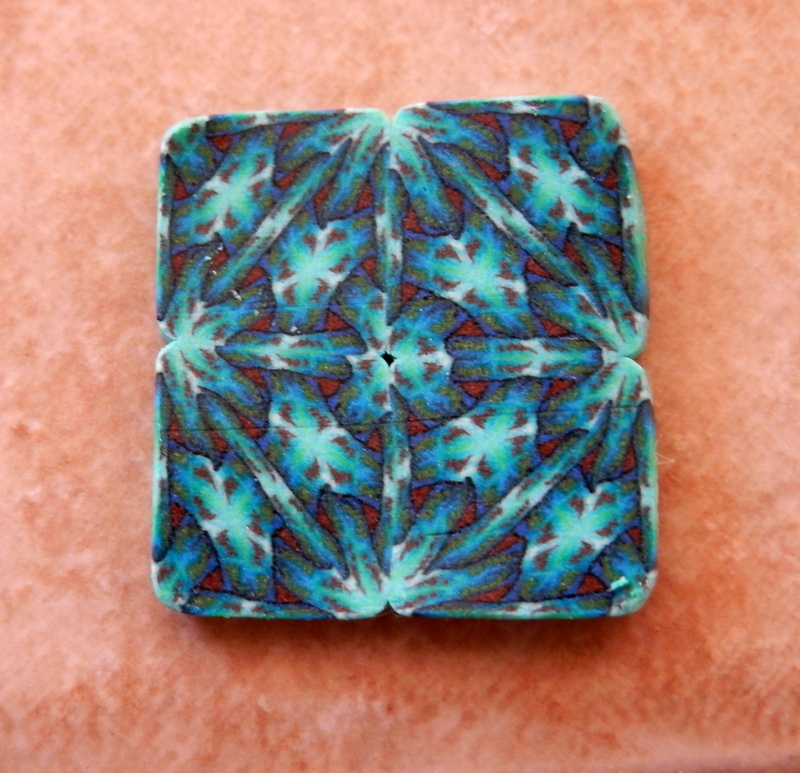 Polymerclayexpress sells her kaleidoscope cane video here. Definitely worth the $25.00. She also explains how to make beads using the canes. Her website is worth a look too. You can find her Celtic Cane video there. It is very precise caning. Meticulous, but worth it.